FeastHome – Have you ever wondered how stylish you would like your kitchen to be? If the answer is yes, do you know how you can make the kitchen look stylish as per your expectations? Kitchens are the epitome of the home in various aspects and the important role they play cannot be underestimated. In addition, considering the fact that the kitchen is where you spend most of your time, it is best that you make it stylish so that you can enjoy every moment of being in the kitchen. There are various ways through which you can add a sense of style to your kitchen. The styling mechanisms you adopt will be influenced by various factors which include your budget, size of the kitchen and your creativity levels. For that reason, the process of making the kitchen stylish calls for serious thinking in order to achieve long-terms results. Attaining the style, you have always yearned for in your kitchen will not come easy. Therefore, it is important that you conduct research in order to find styles that will sync well with your plans and needs. Below is a list on some of tips that will help with styling your kitchen. The kitchen walls and floors are no doubt the most conspicuous element in your kitchen. The important role played by these elements means that you should pay special attention when deciding on changes that you want to apply. In addition, each of these elements demands a different procedure when conducting the styling process. 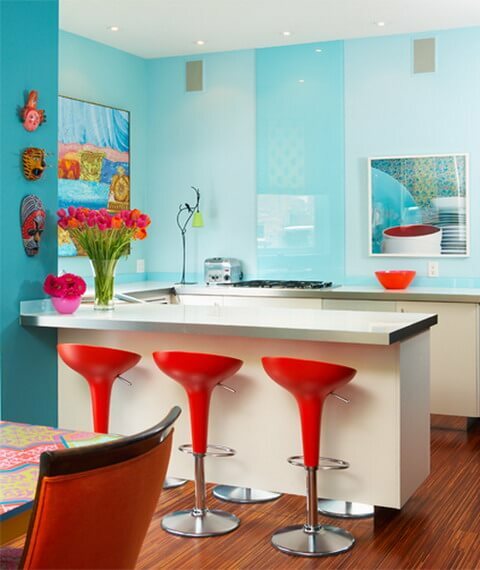 For the kitchen wall, you should consider using colours that will lighten the mood in the kitchen. Additionally, you can also apply a combination of colours to achieve a remarkable visual effect in the kitchen. Moreover, you can also use wall accessories such as paintings to add a touch of sophistication to the walls. On the other hand, the floor needs to be built from a durable material. This will ensure that the floor stays put no matter the conditions it is subjected to in the kitchen. Furthermore, it is important that you find the best paint for the floor. The best paint for any kitchen is one that will withstand oil spillage without having its quality compromised. The modern kitchen is home to numerous accessories all of which help in making work easier and decorating the kitchen. In addition, the kitchen accessories come in different colours, sizes and designs. The wide range of options to choose from allows you to acquire an accessory that fits your preferred style. However, the way you use the kitchen accessories will largely determine the stylish effect you will have on your kitchen. To achieve the best results, ensure that you carefully choose the accessories. The choices you make should be compatible with the colours you adopt on the walls and also the kitchen layout you have decided on. The way you organize these accessories will also determine the image outcome you will get from these accessories. Poor lighting will certainly downplay all your styling options. Lighting plays a key role of complementing the colours used in the kitchen and thus you should settle for nothing but the best. There are many types of lights that can be used in the kitchen with each having its own effect. However, none of these lights can match what pendant lights have to offer. Pendant lights will give you value for your money courtesy of their appealing design and high quality of light. When choosing a pendant light, be sure to look for the most suitable design for your home and the colour that best fits your kitchen. Apart from choosing the type of design and colour to go for, you should also consider where the pendant light will be installed. Strategically positioned lights will light up the entire room and provide a dazzling effect on the beauty of the kitchen. 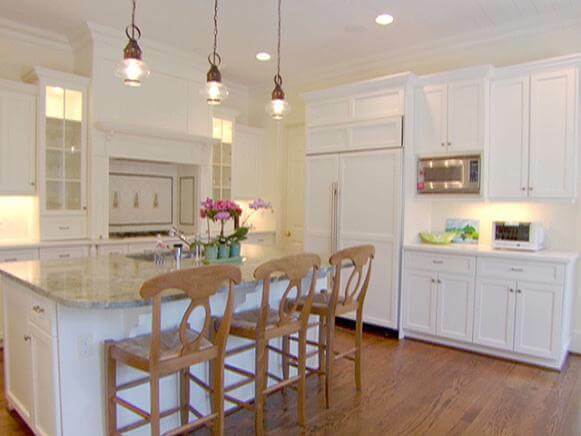 Pendant lights work best when installed at the middle of the room and especially above the kitchen island. A disorganized kitchen is always a turnoff despite the quality of style that you have adopted. A lot of clutter proves that the owner is disorganized and the surest way to beat this narrative is to create more space to store any form of kitchenware which eventually becomes clutter. Creating the important storage space means that you should adopt new storage mechanisms such as using storage containers to store food products. In addition, you can also adopt a new style of organizing things in the fridge or on shelves. And if the space is not enough, build new shelves and ensure you get the open style shelve. This design is appealing and makes it easy to retrieve contents. Making your kitchen look stylish has never been this easy. Any homeowner can now pride themselves in having a stylish kitchen despite the size or design of their kitchen. 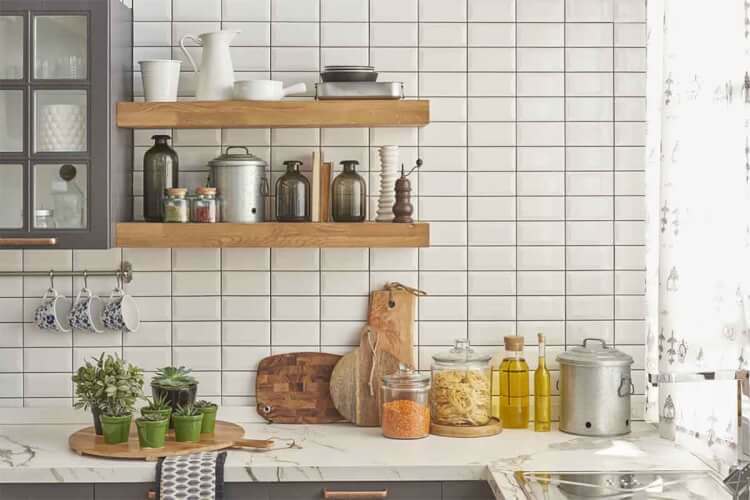 On that note, if you are grappling with issues of improving the image of your kitchen, you should consider adopting these tips which will enable you to make the kitchen stylish.